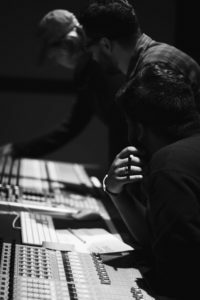 Being a double major in music business/management as well as music production and engineering, Valencia was not an option that I had even considered whilst reflecting on my future journey at Berklee and how to make the most of it. It was a last minute decision that was a result of me having to live off campus in Boston. I was literally willing to move across the globe to avoid dealing with realtors. A semester in, I can confidently say it was worth it. From the academic resources, to being able to perform at Lagos de Conciertos by the water, to Flamenco Jam sessions on Sundays and playing showcase concerts at Veles e Vents by the Marina, Berklee Valencia and Valencia as a city more importantly, have changed and impacted my personal and professional characteristics in drastically significant and meaningful ways. My experience here as a student thus far has been a perfect balance of work, networking, career development, and memorable social experiences. An intense academic routine coupled with a plethora of extracurricular opportunities summarizes my student experience on campus accurately. The ability to develop, lead, and truly engage with students through my efforts with the Law and Management Chapter here combined with the UN Development Goals Program has opened up a new world of opportunities for me as a student and professional. It has helped me create a platform for students and professionals alike to start a conversation on topics that are important and fundamental for our success in this industry. Particularly, our #WomenInLaw extension of the chapter holds much promise run by an all-women team, with faculty, professionals, and graduate students sharing their experiences and obstacles to prepare, inspire, and empower women to engage and succeed in an industry equally, as is their right. The student community and the campus experience are truly what you make of it. The Student Advisory Board and Ambassadors this semester led by myself have contributed and further developed what has been an impressive and effective administration to deliver the very best to their students in all programs. 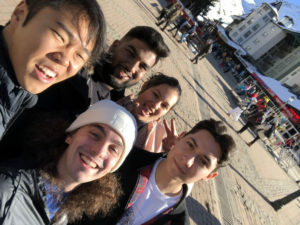 I encourage all students, current and prospective, to truly take advantage of resources and aspects of this study abroad program to further themselves, be it in their careers or their journeys of discovery within themselves. Did I mention we’re in Europe? Being able to hike to the top of a mountain on a weekend or immerse in a culturally unique paella lunch are aspects of a few trips organized by the campus. An approach to immerse students into the culture, lifestyle and heritage of the city and country is at the core of what Berklee Valencia delivers through all of their initiatives. Be it Granada or a gig with professors at Jimmy Glass, every experience, every memory, and every second of being welcomed into this community and being one with the city is unique, thrilling, and a privilege. 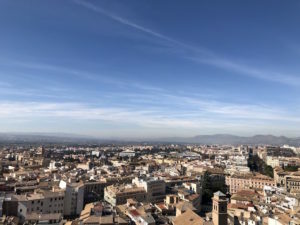 The beach, the nightlife, the rich culture and history, the ability to interact with the Spanish students here, are all factors that contribute to what is historically and culturally, a thriving city. To be able to walk through streets and cathedrals that radiate tales and legends while actively transforming your arts and creativity to shape the future within this space is an experience that I cannot put into words. Finally, the academic resources available are unbelievably effective and efficient, and I guarantee an equally immersive experience with the team here in Valencia. From being able to book studio sessions, to the incredible DJ classes and Music Tech Minor courses to collaborating with students in the graduate degree programs, the campus is constantly growing and transforming arts education. With exposure to the legends of the industry here in Europe, such as Adam Mosely and signature events supporting Women in our industry, (SheKnowsTech), Berklee Valencia is working towards Berklee’s vision for 2025 right from its conception to its implementation, and what I truly believe can be its completion. These resources and opportunities have transformed my outlook on the world and my experience here through avenues I never would have explored otherwise. I would recommend this to any student back in Boston that is looking to develop a global citizenship mindset and step out of their comfort zones to truly excel in this industry. 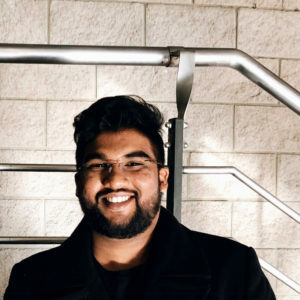 Rehan Manickam is a second year undergraduate student at Berklee dual majoring in music production and engineering and music business/management. With a focus on fostering a sense of community among artists in the industry and revolutionizing aspects of the performing arts, his experiences, projects, and involvement within the community are at the core of his vision and mission here at Berklee.